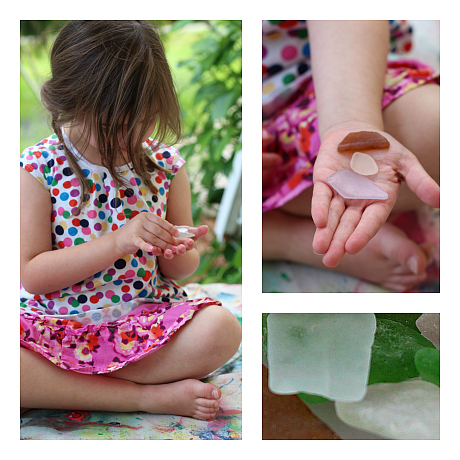 We live by the ocean and while we don’t get sandy beaches or palm trees we do get sea glass. Looking for sea glass on the rocky shore is one of my favorite calm activities and sometimes my kids join in , no matter how small the piece they are little treasures. Searching for it has taught my kids to pay attention to detail, be determined , as well as patience. 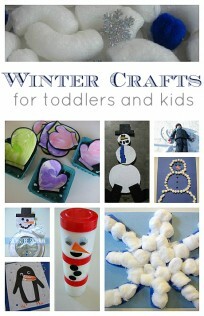 Of course all those things will take many more years to develop fully but this is a fun way to work on it while they are young. 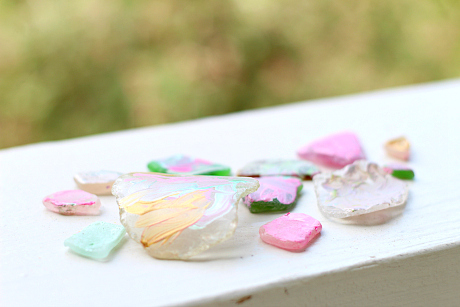 If you don’t have a spot to search for sea glass you can buy it from craft stores and online. 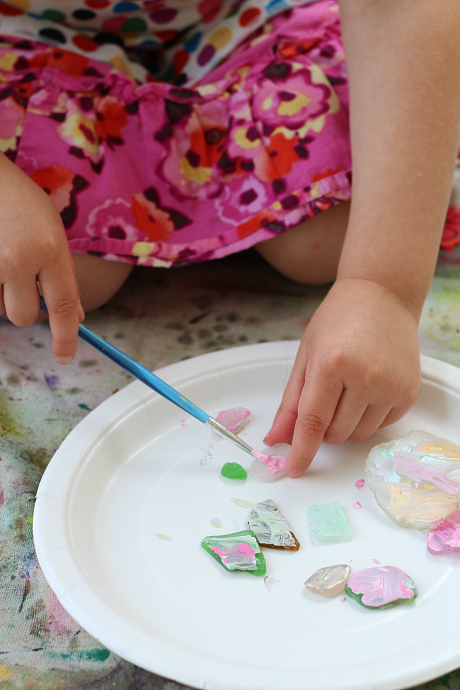 Painting sea glass is a great way to think out of the box for different canvases, recycle , and even work on those oh so important…fine motor skills. Gather your materials. 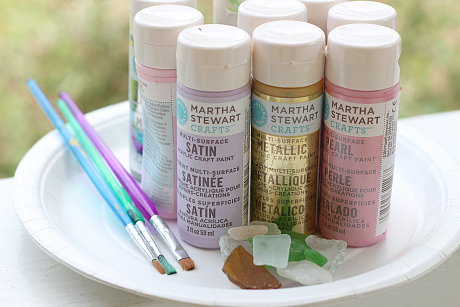 You will need some sea glass, paint that works on glass, a few paper plates, and paint brushes. One of my best toddler art tips is for parents to use big brushes that can cover big spaces for toddlers but in this case do the exact opposite. 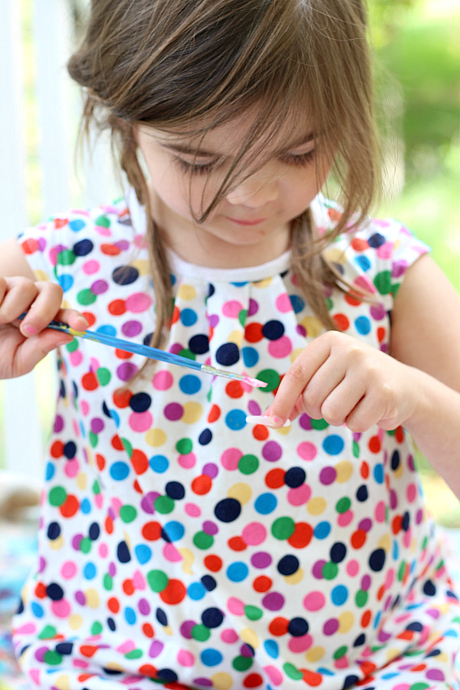 Use the smallest brushes you have because one of the great benefits to painting on small areas is developing fine motor skills while you get creative. 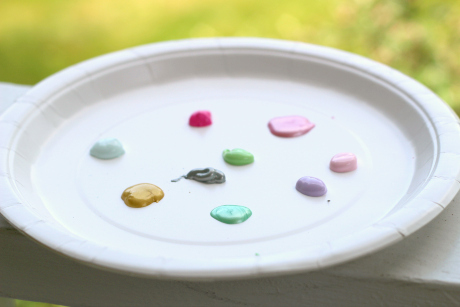 Start by putting a little bit of each color you are using on a paper plate. You can absolutely use a reusable plate but the paints are not washable and I find it much easier and ultimately less wasteful ( of water) to use a paper plate I can roll up and ditch at the end of the activity. 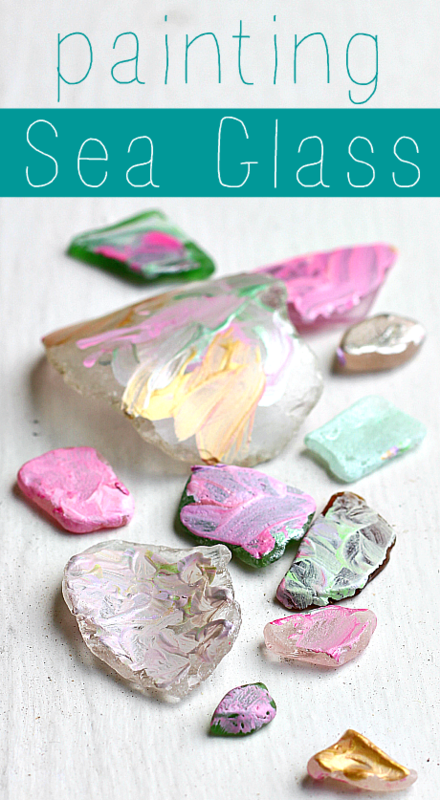 Take time feel the glass and to talk about how sea glass is made. Why it is so smooth unlike freshly broken glass, why it’s frosted, and if you have any memories to share about finding it. Time to paint. There is no wrong way to do this. 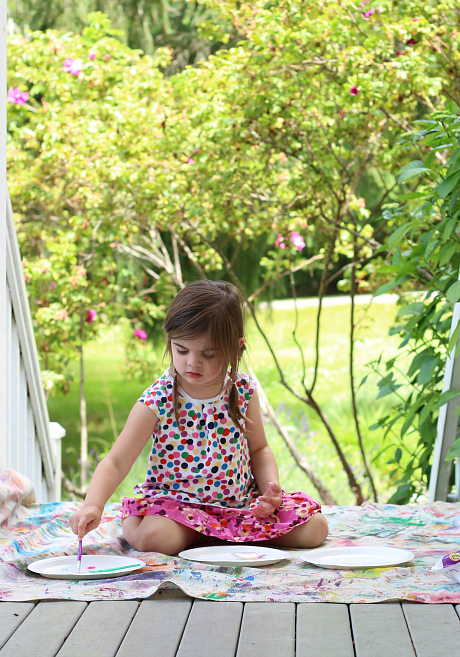 Paint one side, paint both sides… just have fun getting creative with a new sort of canvas. She loved it and needed zero direction. Instead we chatted about colors, and what we thought the glass used to be , and if there is more than one Santa to deliver all the gifts. My daughter is random like that and I love conversations over art, it’s easily my favorite way to chat especially with such an interesting partner in crime. Once they are done pop the plate into the sun to dry. 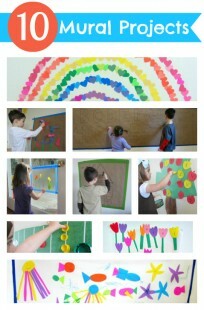 Our paint dried while we made words with stamps and playdough. 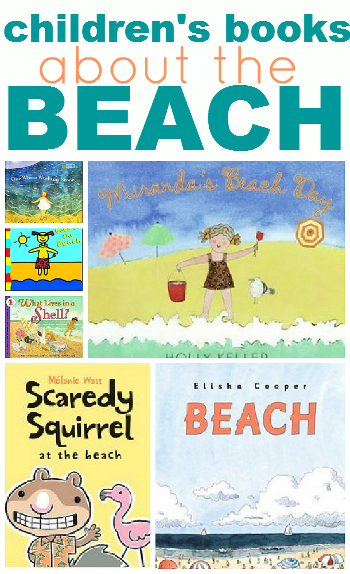 Check out our collection of books we love about the beach. See the full list here.